Roman shades are a window covering design that vastly predates Western civilization, yet they are here in abundance more than 2,000 years later. That means the ancient Romans must have done something right! Roman shades were originally simple wet clothes that were stretched over windows by the people living in the age of the Roman Empire. There were two reasons for doing so. The first reason was to keep out irritating dust. The ancient Romans were architectural aficionados, and there was often a great deal of construction and stone carving happening all the time. The early Roman shades helped keep the dust outside from getting inside, notes Cosy Home Blog. The second reason was the same reason we still use blinds today – to keep out intense heat and sunlight. The ancient Romans used their wit to make their lives more comfortable. Fast forward to present day, and we still use that same basic concept, dressed up with a little modern luxury. 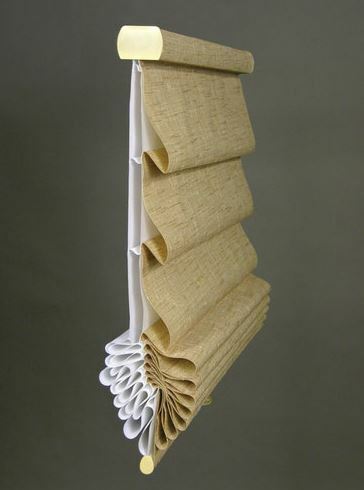 At Boca Blinds, we carry the Roman shades of the 21st century. They have a romanticized style, but with all of the perks of modernity. They roll, stack and traverse, and don’t have an exposed rear cord. Our Roman shades look light and elegant and will flow beautifully when installed in your windows. Roman shades allow light into your home without it being too intense, and a set of Roman shades from Boca Blinds will allow you to control the natural lighting of your space. The style and aesthetic of these blinds may come from the Old World, but the convenience, durability and technology comes from modern times. We believe that the ancient Romans crafted very effective blinds and shades, and with the addition of modern technology and features, our Roman shades are sure to be a marvelous addition to your home. Shop our selection of Roman shades online now, or give us a call today at 561-368-5322 to schedule your free in-home consultation.